Flint, Michigan—Construction is officially underway on the Flint Cultural Center Academy, a charter school being constructed in downtown Flint. 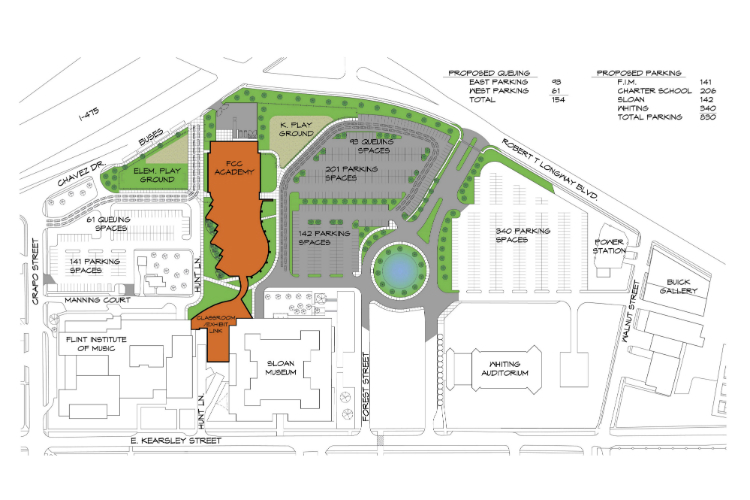 Here's a breakdown of what the plans are for the school. 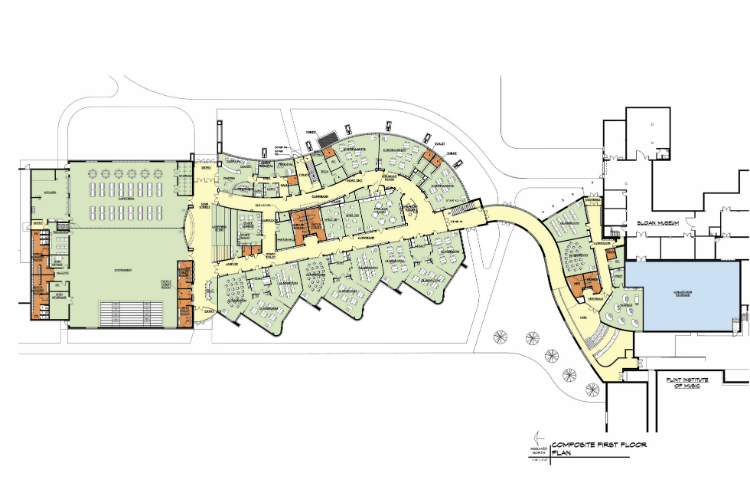 Additional images including a campus site plan, floor plans, and more interior and exterior artist renderings. • Set to open in fall 2019 for about 300 students in kindergarten through fifth grades. 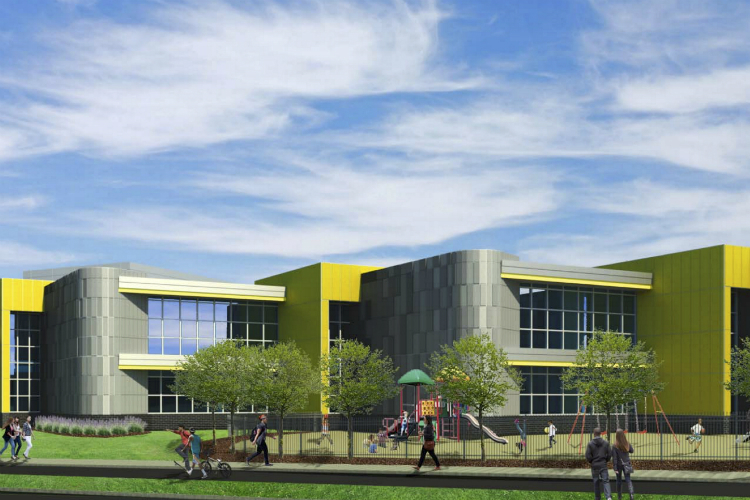 Enrollment will expand annually through 2022 when the K-8 school will serve up to 650 students. • A free, public school. There is no tuition to attend. • A 78,000-square-foot, two story school featuring 37 classrooms, a gymnasium, cafeteria, and kitchen as well as multipurpose classrooms. 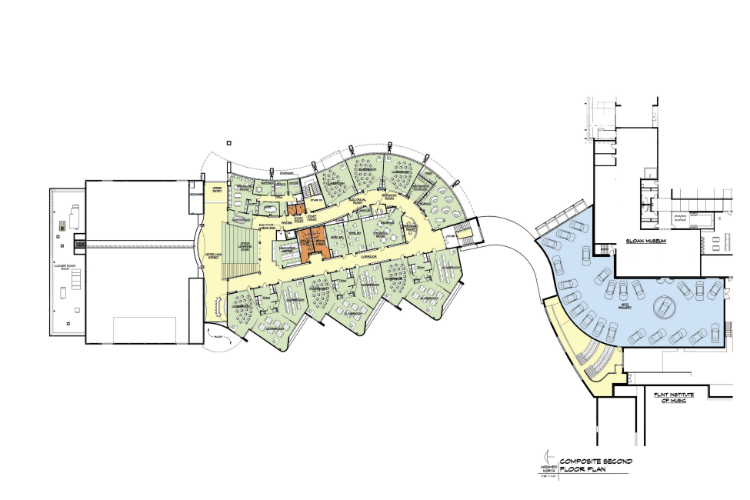 Four special education classrooms are included in the building designs. 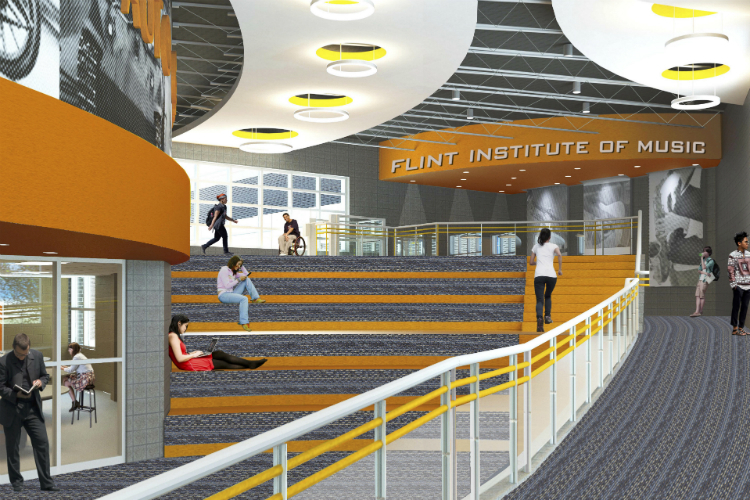 • Students will spend at least 90 minutes a day studying at one of the Flint Cultural Center campus cornerstone institutions: Flint Public Library, Flint Institute of Arts, Longway Planetarium, The Whiting, Sloan Museum, and Flint Institute of Music. • EL Education, a national nonprofit organization specializing in K-12 education, will help the school build its curriculum. • Enrollment is open to students who live in Flint, Genesee County, and throughout the rest of the state (as required by Michigan law governing charter schools). • The lead design and construction partners are Flint-based companies THA Architects Engineers and E&L Construction Group. • The charter was authorized through Grand Valley State University, the leading charter authorizer in Michigan.